Bring It! Live Durham Tickets - 7/6/2019 - Durham Performing Arts Center at Stub.com! Rear Balcony, Rows J-P. . Tickets will be ready for delivery by Jul 02, 2019. 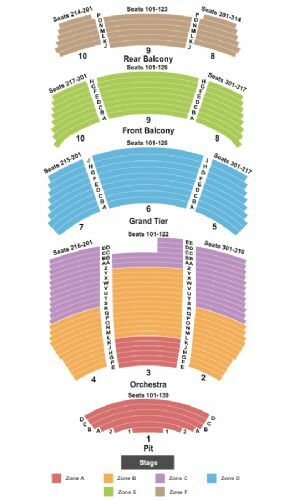 Front Balcony, Rows A-H. . Tickets will be ready for delivery by Jul 02, 2019. Grand Tier, Rows A-J. . Tickets will be ready for delivery by Jul 02, 2019. Right and Left Orchestra, Rows S-DD. Center Orchestra, Rows Z-EE. . Tickets will be ready for delivery by Jul 02, 2019. Right and Left Orchestra, Rows F-R. Center Orchestra, Rows L-Y. . Tickets will be ready for delivery by Jul 05, 2019. Pit, Rows 1-2 and A-D. Center Orchestra, Rows E-K. . Tickets will be ready for delivery by Jul 02, 2019.